The Turks & Caicos, a staggeringly beautiful chain of islands, has all the elements of a classic Caribbean paradise: sun, sandy beaches, sublime resorts — and far too many stray dogs. 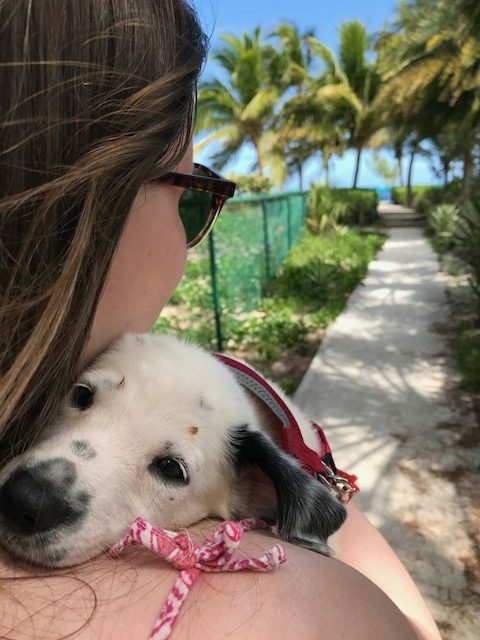 Strays are endemic across the entire Caribbean and on the Turks & Caicos, they call these dogs “Potcakes,” a name born of an island custom of feeding the poor hounds the caked food at the bottom of a cooking pot. It’s a Caribbean island breed that is a mix of German Shepherd, Labrador and Foxhound Terrier, with a sweet disposition and eyes that just won’t let you look away.